In Cape Town, South Africa, an old woman is dying of cancer. 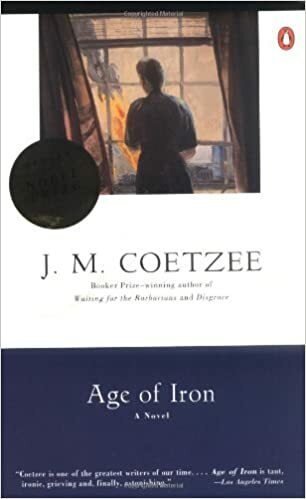 A classics professor, Mrs. Curren has been opposed to the lies and brutality of apartheid all her life, but has lived insulated from its true horrors. Now she is suddenly forced to come to terms with the iron-hearted rage that the system has wrought. In an extended letter addressed to her daughter, who has long since fled to America, Mrs. Curren recounts the strange events of her dying days. She witnesses the burning of a nearby black township and discovers the bullet-riddled body of her servant's son. A teenage black activist hiding in her house is killed by security forces. And through it all, her only companion, the only person to whom she can confess her mounting anger and despair, is a homeless man, an alcoholic, who one day appears on her doorstep.